As you color the images in this book, remember that the goal is to transform your inner experience by expanding your sense of self. The artworks are just documentation, evidence of your inner work, the manifestation of a divine principle you have nurtured in your own heart. If you produce a bunch of colorful images but have not grown wiser and more compassionate as a result, then you were refining a skill, not performing a spiritual practice. Following the suggestions given may make the act of coloring inexplicably more difficult than usual, because creating the artwork is just the tip of the iceberg. The majority of the work is done in your heart, unseen. Be patient with yourself, yet consistent. Complete these images, and your karma will be transformed. 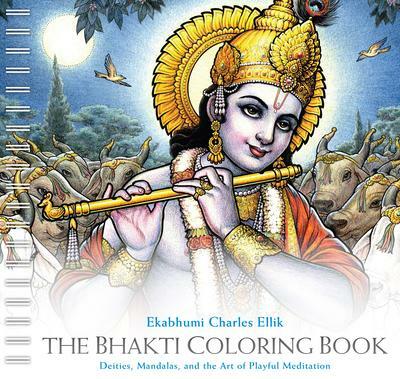 Ellik also created 20 original illustrations for Sally Kempton’s book, Awakening Shakti. This product is are really amazing. This site is a perfect platform to get good products and verities. I love this product and it is really good. Keep sharing more products. Get best essays at custom essay writing service. Thank you so much for this post.